Microsoft initially allowed anyone to upgrade from Windows 7 or 8 for free up until July 2016. However, even after that ended, Microsoft offered a Windows 10 free upgrade to anyone who needed assistive technologies up until the end of 2017. And, while that offer stayed open for a little longer than intended, the Windows 10 free upgrade is unfortunately no longer available to anyone. The assistive technologies upgrade was meant for users who were going to use Windows 10’s accessibility features, and because there was no verification process involved, anyone could potentially upgrade to Windows 10 by using this method – dubious moral issues aside. 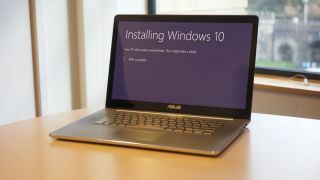 Unfortunately it seems the other method of upgrading to windows 10 – using an existing Windows 7/8.1 product key to activate the installation of the new OS – has also been deactivated at the time of this writing. Ultimately, Microsoft probably wasn’t too worried about closing these loopholes for a while, because having more Windows 10 users is obviously nothing but a good thing for the company.